We interviewed Gordon Yeaman at Keppie in Glasgow to hear how they’ve been using BAUX’s Plank series. 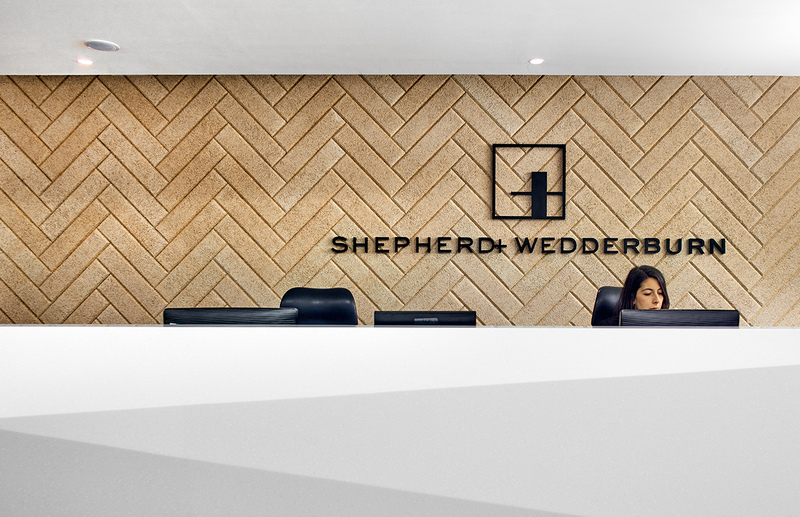 Shepherd and Wedderburn are one of Scotland’s leading law firms. They were looking to challenge the way they interact with clients so they asked Keppie to design their meeting rooms and collaboration spaces in order to give staff and clients greater opportunities to mingle and interact. We discovered BAUX after seeing designs one of our suppliers had created in their showroom. We liked the shape, flexibility and the natural raw feel of the wood fibers. We chose BAUX Plank for this project because the natural textures broke down the formality of the meeting room and the acoustics were softer. 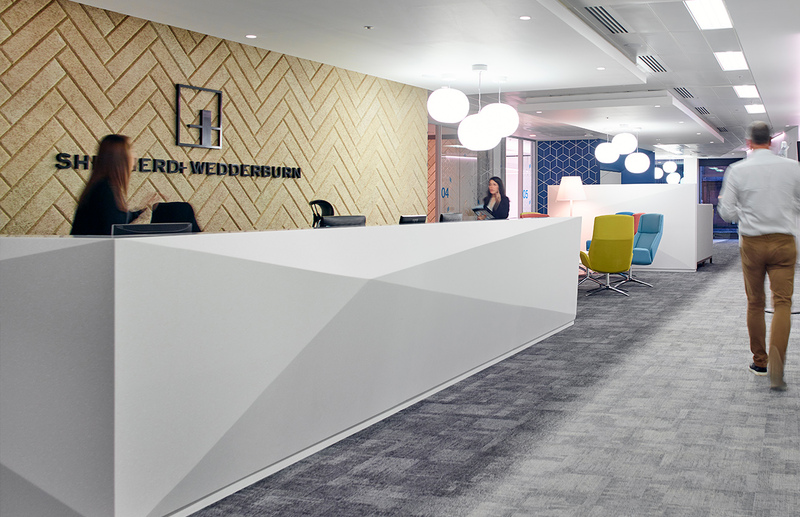 The classic plank shape allowed us to create a herringbone configuration that unified all client meeting rooms, the main reception and staff relaxation areas. The client is delighted with the finished project, in particular the impact the new space has had on work practices and client experiences. We’ve already considered BAUX for future projects- we love the flexibility, shape, colour configurations and acoustic properties. There are a number of environments this application would enhance. I’d love to use BAUX in a larger scale context where we can play around with the product’s potential.